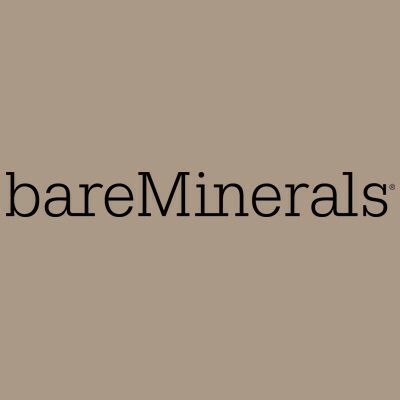 bareMinerals READY® Bronzer buffs on rich golden bronze colour for a beautifully even, buildable glow. Powered by our proprietary SeaNutritive MineralTM Complex composed of antioxidants with cold-pressed carrot oil, this silky long-wearing formula delivers skin-nourishing benefits and firmer-looking skin. Solid mineral colour lasts up to 8 hours. Available in 3 shades: The High Dive (medium tan), The Deep End (deep tan), The Skinny Dip (light tan). Mica, Lauroyl Lysine, Boron Nitride, Octyldodecyl Stearoyl Stearate, Polyglyceryl-2 Triisostearate, Corallina Officinalis Extract, Caprylic/Capric Triglyceride, Alaria Esculenta Extract, Calcium Ketogluconate, Vitis Vinifera (Grape) Seed Oil, Daucus Carota Sativa (Carrot) Root Extract, Brassica Campestris (Rapeseed) Seed Oil, Tocopherol, Silica, Iron Oxides (CI 77491, 77492, 77499), Titanium Dioxide (CI 77891), Bismuth Oxychloride (CI 77163). 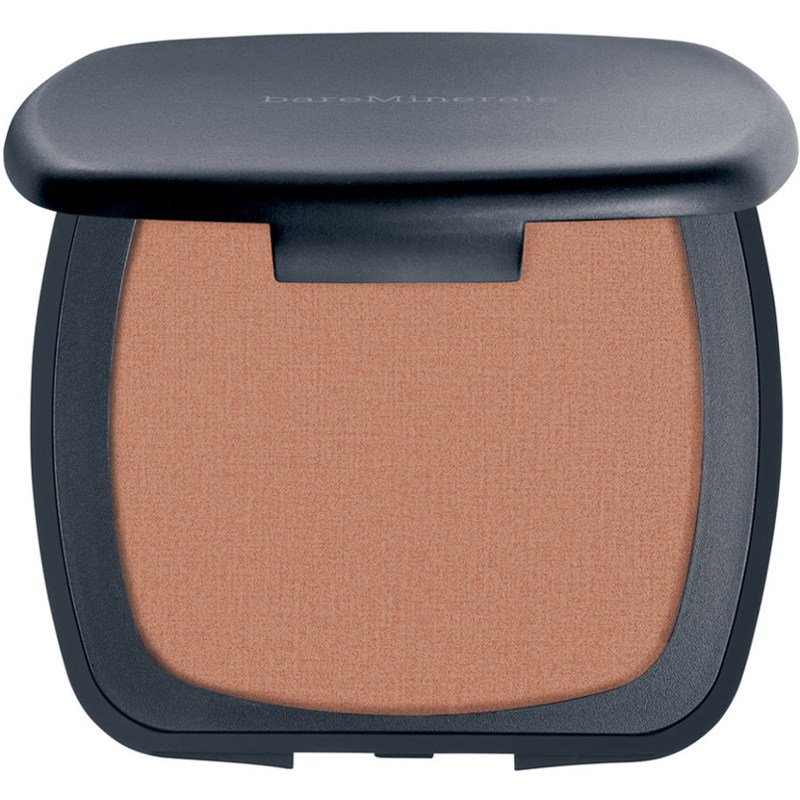 bareMinerals READY® Bronzer is a genuine helper in terms of making a healthy distinctive and a bit sun-kissed face. I was lucky to test it as a part of B.o.T. giveaway and still reeling from the positive experience. 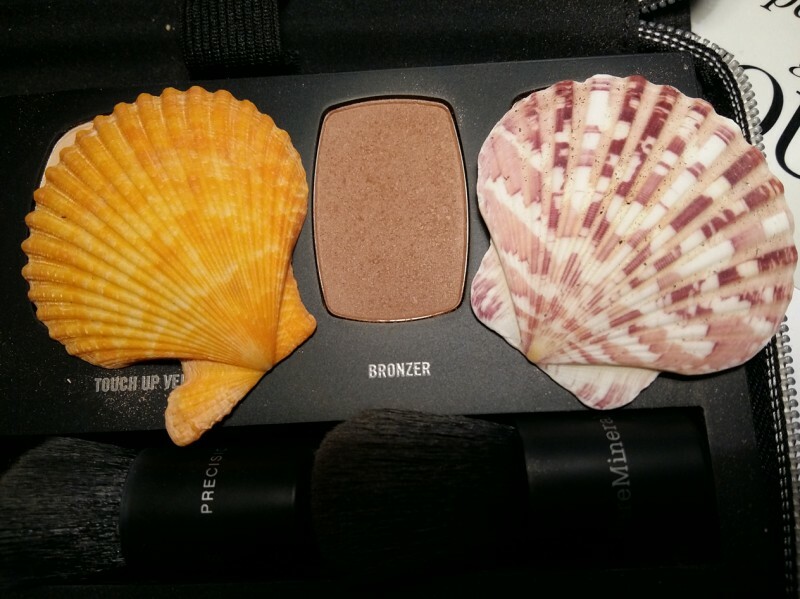 It dramatically accentuates cheekbones while at the same time making them look natural, not artificial. It takes 2 swipes tops and barely a tangible amount of the bronzer for the face to develop that buildable glow the description says about. It is odourless and has no large shimmering particles that in the cases of other bronzers tend to create unwanted sparkles on the cheeks. 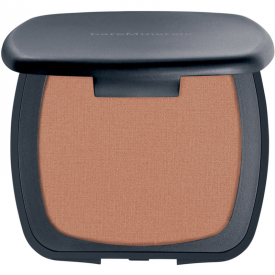 This bronzer also stays intact all day and manifests no transfer. Moreover (and this one is a real deal) it provides no irritation or other adverse effects afterwards, which is a true relief for my skin. In a nutshell, it is a great product to have as an element of one's make-up ritual. "emphatic and healthy look all day"